Jerusalem Lane is a little piece of Dickensian London untouched by development, its inhabitants mainly refugees from pre-war central Europe. But could elderly Meredith Winterbottom really have been killed for the politics of another age? As DS Kolla and DCI Brock delve into the Lane’s eccentric melting pot, past and present interlink in unexpected ways. What connects Mrs Rosenfeldt and Adam Kowalski to a smooth property developer and an American academic? And what is Meredith’s son Terry up to? Not to mention the dottily Marxist sisters. Could this be a recipe for murder? 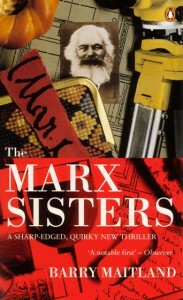 Shortlisted for the CWA John Creasey Award for the best first crime novel of 1994.